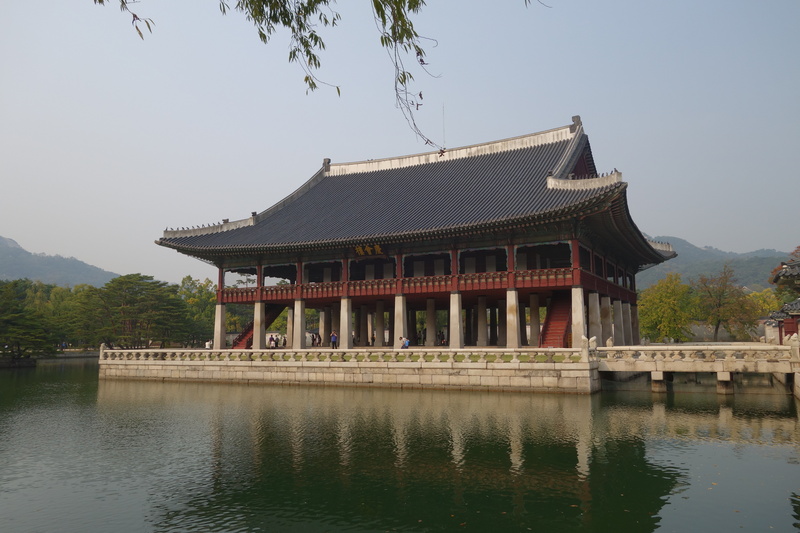 Gyeongbokgung (Shining Happiness) Palace is the largest of the 5 palaces to be found in Seoul. It was originally built in 1395, torn down 1592 and rebuilt in 1865. However, the Japanese tore almost the whole palace down more than 100 years. What you see is mostly a reconstruction, not the old structures. It’s the travel snob in me but I felt I a bit like a tourist in Disneyland while walking through the vast area. 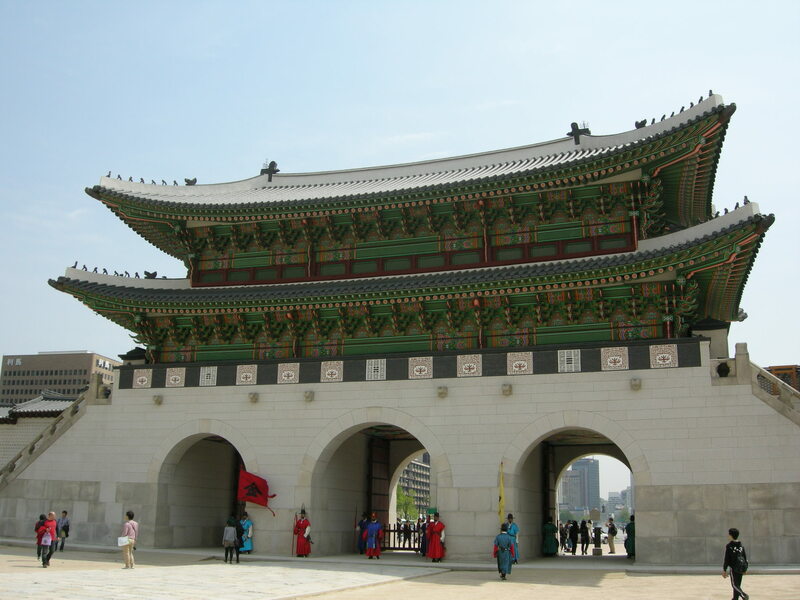 While the repetitive and reconstructed didn’t intrigue me much, I was a big fan of the spectacle surrounding the palace. 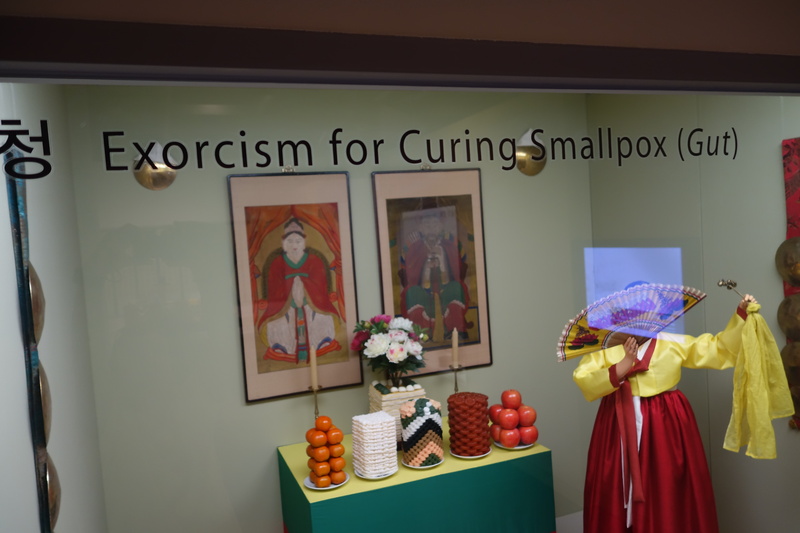 You don’t have to pay admission fee if you dress in a traditional hanbok. I found the variety of the cultural clothing fascinating and also interesting how many tourists wanted to take a picture with the young girls/women. I don’t see Germans dressing up in Lederhosen and Dirndl (besides Oktoberfest) to take pictures with other tourists. Is it about connecting with their culture? Or is it poor narcissism, the desire to be a star for tourists? The National Folk Museum featured shows and an outside exhibition of life in the 50’s: barbershop, coffeeshop and shoe store. And, the deep rooted shamanism was also featured inside the museum. Oh, the poor soul that had to try this. 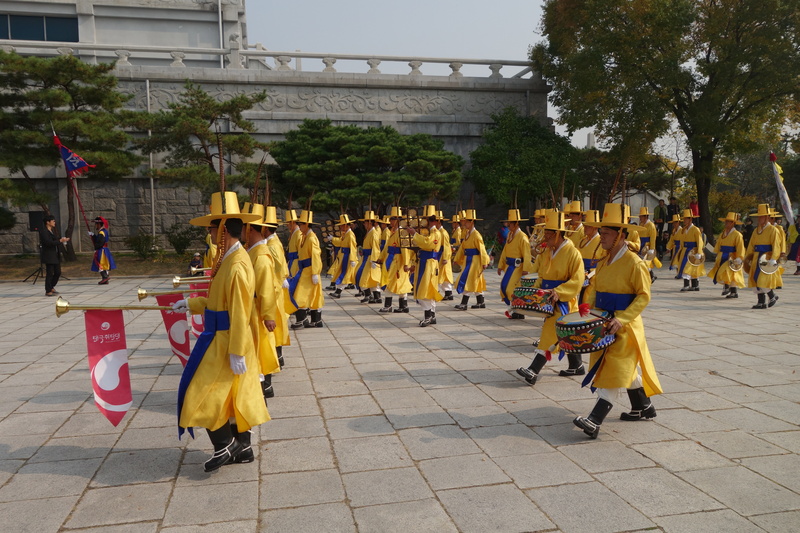 But the Hanbok spectacle was what I found intriguing.